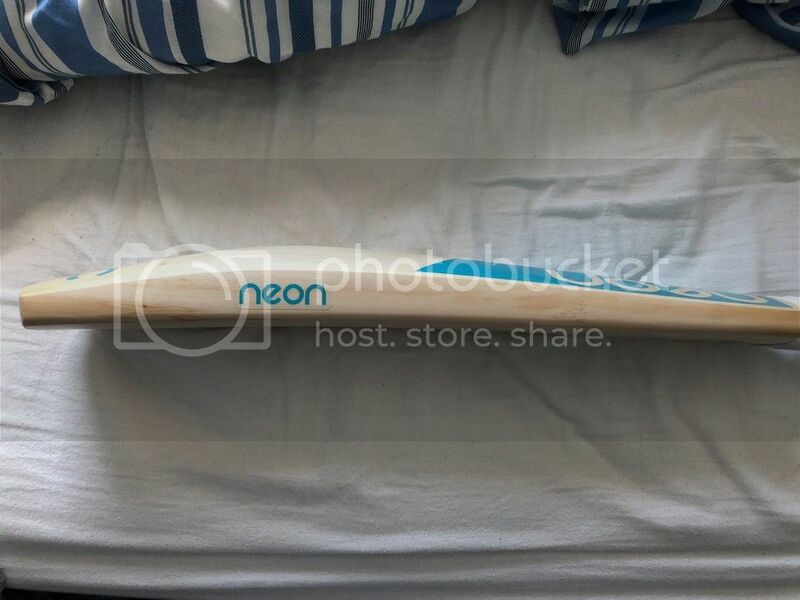 My first bat review on here so please be gentle. For anyone hesitating about buying from Adam, please don't, his service and products are superb. I'd be interested to see a profile (side) shot. Lovely, full profile seen in the shot from the toe. The neon stickers, with no background colour, give a lovely clean view of the willow. 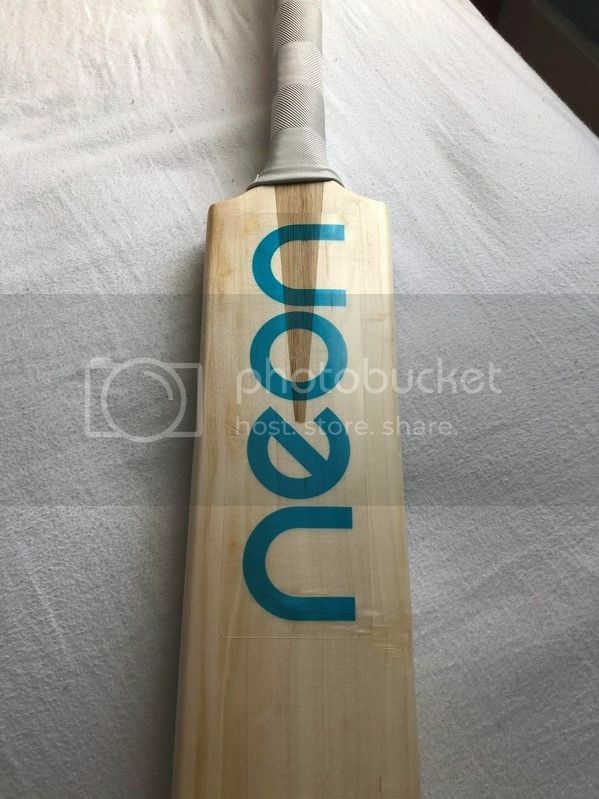 Look forward to a review when you get to the nets with it. 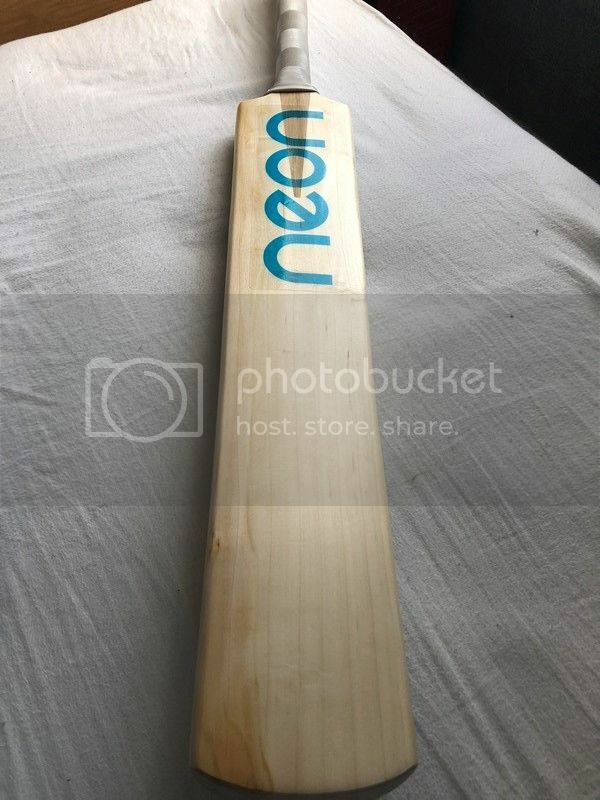 I believe @Neon Cricket has a bit of a dislike for the look of black tape on a white grip! Grip grip underneath and fold it neatly down over the shoulders will sort it right out! 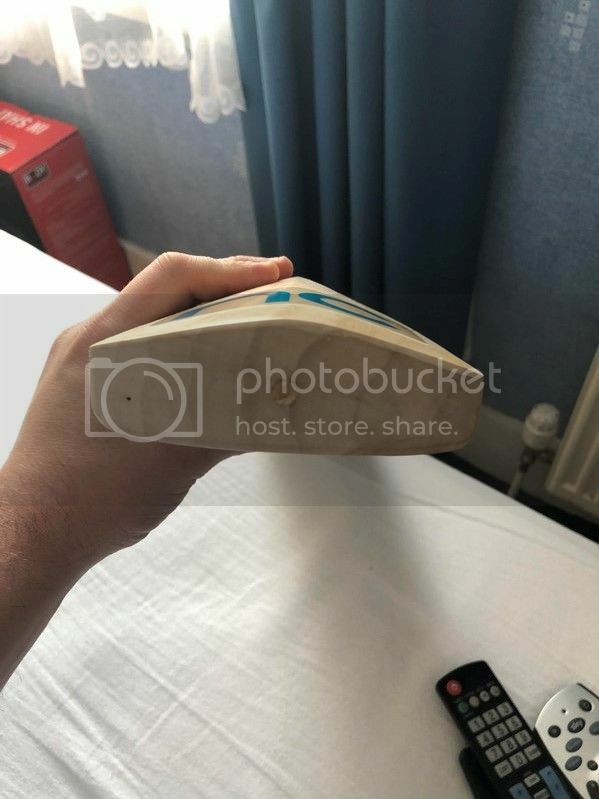 I agree white grip and black tape is a no no! Page created in 0.406 seconds with 35 queries.